As the days grow shorter, and the summer heat wave almost a distant memory, it’s easy to lose all motivation to venture outdoors and keep up with your regular workouts, which could lead to a seasonal lull in your fitness programme. To prevent any setbacks, we’ve put together a few tips and tricks that will help to get you moving, and create much-needed winter warmth for your body. When the weather turns icy, your morning jogs around the block can turn into a dangerous obstacle course of slips and slides, so moving indoors to tackle your daily cardio routine might be a wise, not to mention, less risky plan. Using the Versaclimber, set yourself up for a 30-minute to one-hour workout at a low resistance, plug in your headphones and get working on some cardio. With a zero-impact workout, this form of training can help to reduce your chance of sustaining injury than if you were running on the icy pavements, either by repetitive action or falling over – crucial if you’re training for a big event such as the London Marathon in the Spring. Not everyone dreads the change in seasons, so if you’re inspired by the snowy weather – but don’t have the funds (or time!) to scale Mount Everest itself – why not try climbing the distance instead? Follow in TV-presenter Phil Spencer’s footsteps and use the Versaclimber to tackle the 8,848-metre challenge without scaling the icy terrain, the flight to Nepal and the cold conditions of the Himalayas. By the end of it, your body will be aching and your workout gear will be drenched in sweat. On the plus side, you will feel a great sense of achievement and you’ll be warm! Winter is a time for treats, and many of us crave carbs when the weather starts to turn. Exercise alone can’t offset a poor diet – however, you can limit the damage from all that Christmas party food with HIIT (‘high intensity interval training’). Balance is the key here though, so while it’s important to keep your fitness levels up, you also need to treat yourself every now and then. Don’t worry, a few chocolate coins won’t derail all your hard work. Whether you plan to go skiing, or simply want to be able to shovel snow from the drive without feeling exhausted, it’s worth building strength exercises into your winter fitness routine. 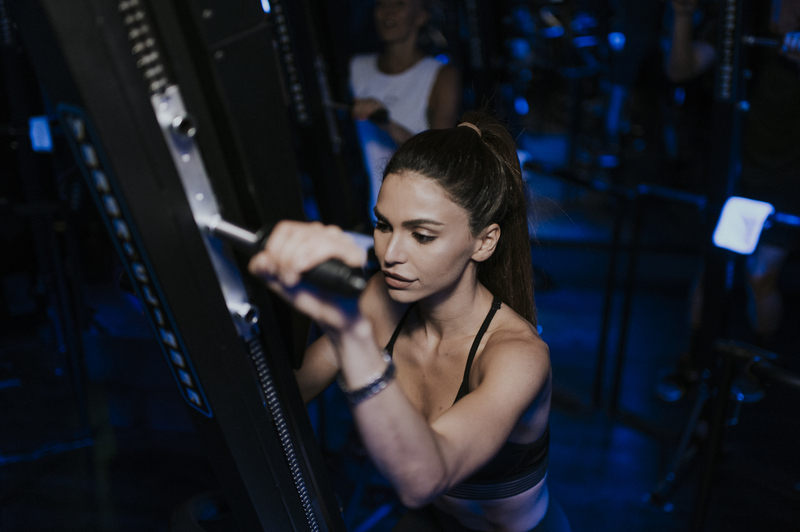 There’s no need to switch equipment though – the Versaclimber offers a full-body workout, with weight training capabilities for both your arms and legs, allowing you to achieve your full workout routine on one machine. It’s an ideal solution for those days where you want to ‘get in and out’ of the gym to hurry home and curl in front of the fire, or if you invest in a Versaclimber Home, you won’t even need to leave the house. Take inspiration from penguins or wolves (other winter animals are available) and get a group together to keep you motivated when it’s dark and cold outside. Whether you’re a runner, cyclist or just need a few mates to persuade you to get the job done, you’re less likely to talk yourself out of a session. If you’re suffering from a low mood during the winter months, a group of workout friends can help give you a lift. How do you stay motivated – and safe – over winter? Share your tips on our Facebook or Twitter pages.